Released on: February 23rd, 2016. 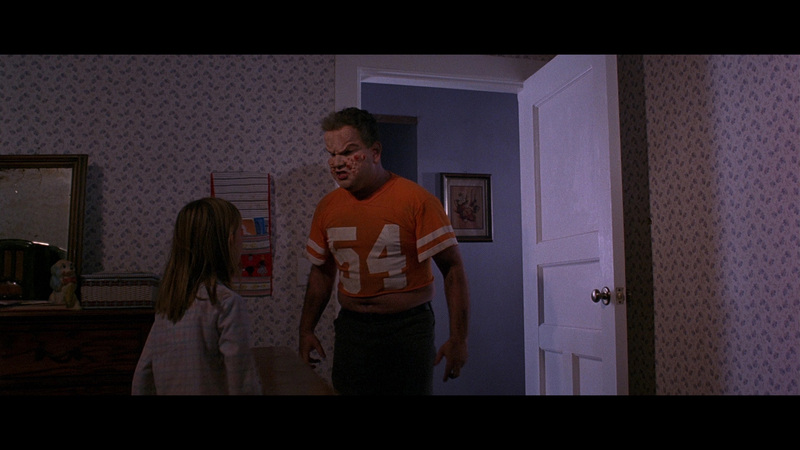 Though double billed on this Scream Factory release, THE CURSE (1987) and CURSE II: THE BITE really have nothing in common other than being low budget horror films. The sequel utilized the first film's name simply to capitalize on the cult success of the 1987 offering. THE CURSE is loosely based on the H.P. Lovecraft story "The Colour Out Of Space" which features a rural family out in bumfuck USA who are headed by religious fanatic Nathan (Claude Akins in a broad but entertaining turn). He's got a much younger wife named Frances (Kathleen Jordon Gregory) who was widowed and left to raise a son named Zach (Wil Wheaton) and his younger sister Alice (Amy Wheaton). Nathan also has a son of his own - the dim witted piggish bully Cyrus. Zach doesn't accept Nathan as his father and his stepbrother likes beating the more sensitive boy up, so life is far from ideal. To top it all off, the wife is sexually frustrated and eyeing the local handyman. Into this dysfunctional group one day a giant "meteor" drops onto their property. This big goopy mess right out of a 1950's Jack Arnold flick has the local doctor Alan Forbes (Cooper Huckabee) highly concerned. He'd like to get some professional EPA style advice but area real estate mogul Charlie Davidson (Steve Carlisle) is concerned about property values and business deals and encourages the doctor to keep his mouth shut despite weird things starting to happen centering around the local water supply. 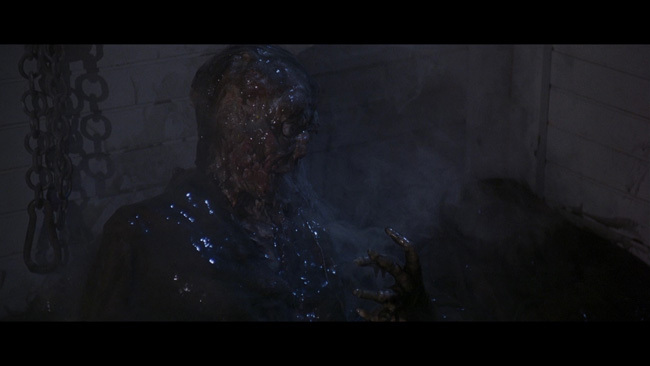 Produced by Italians and with tenuous Lucio Fulci connections to the second unit, THE CURSE feels very much like a pus oozing Italian slimefest from the 80's. 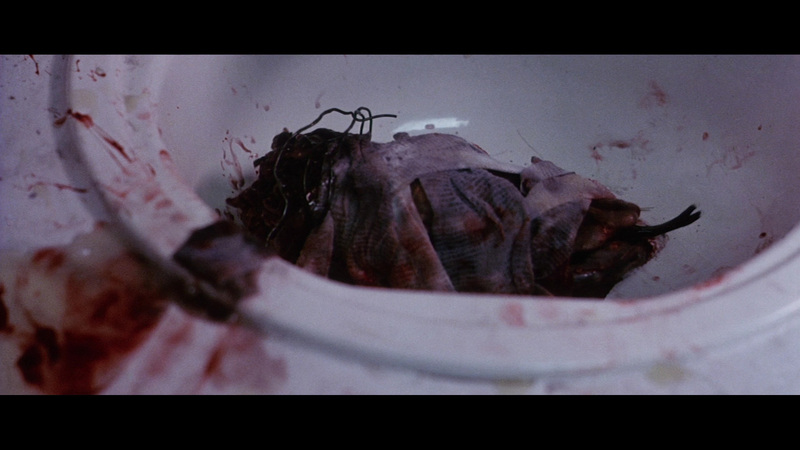 The majority of the film centers around bizarre animal attack sequences and people mutating in a grotesque manner. 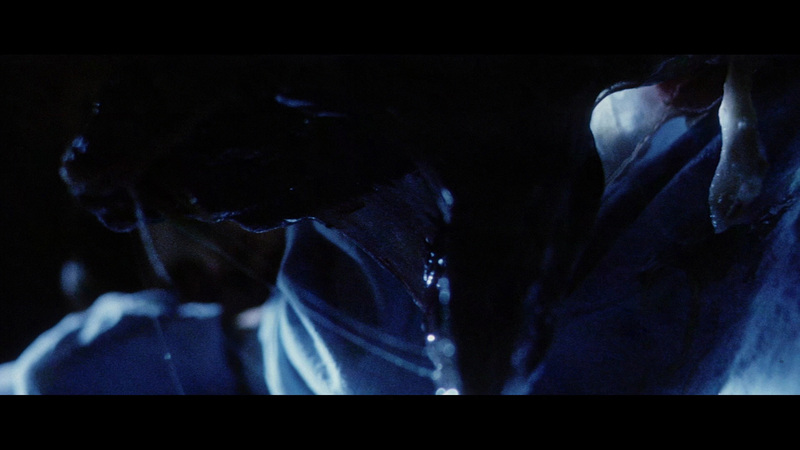 This film is like Cronenberg's THE FLY if it got conked on the head and bled out half of its IQ points. The actors go for it with gusto though - especially Akins and Wil Wheaton. John Schneider of Dukes Of Hazzard fame shows up in a small but pivotal role as well. Actor David Keith of THE LORDS OF DISCIPLINE fame does a strong job in the director's chair showing a good flair for rural scenery and gross out horror. Everything in the script is utterly predictable but THE CURSE is just off-kilter enough to be quite enjoyable. CURSE II is by far the weaker effort but if you go in with the right attitude, this one works. The plot has two young lovers on a southwestern road trip. 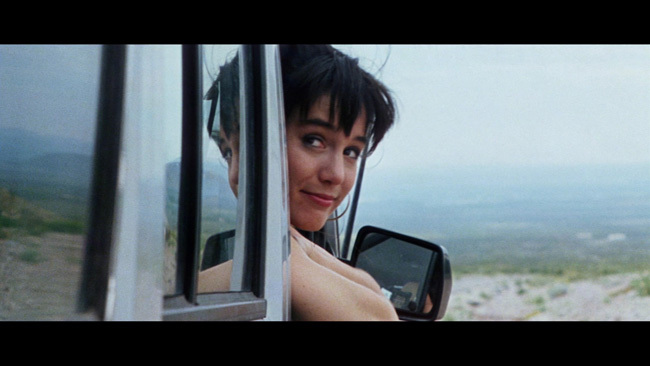 Clark (J. Eddie Peck) and Lisa (Jill Schoelen), are quickly established as a couple of carefree kids on a fun trip with the only tension revolving around Lisa's desire for a bit of commitment from Clark. But when Clark gets bitten by a radioactive snake that turns one of his arms into a killer venomous reptile, their love will be tested to its limits. Everything about CURSE II screams Blockbuster video rental circa late 80's/early 90's. The cheapjack vibe. The padded running time. The wonky video quality. This was the kind of nonsense you picked up based on the lurid VHS jacket or dove into at 3am on HBO when you were craving some sleaze. 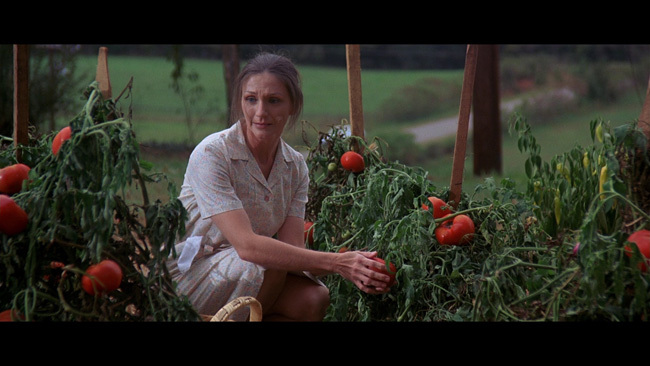 Aside from a slightly strange plot side road involving an unlicensed doctor named Harry (a very funny Jamie Farr) trying to supply the stricken Clark with an antidote, CURSE II proceeds in a completely straight line. Clark gets sick, Clark gets monsterized, girlfriend tries to save Clark, everybody else tries to kill Clark. The kill scenes and snake effects are fairly well done and reptilesploitation freaks will feel sated by the time this gets to its obvious final reel. 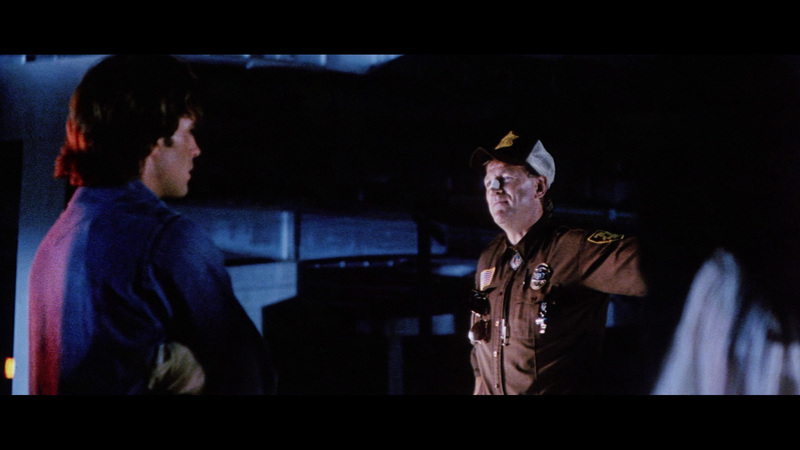 As far as acting goes, Bo Svenson is the standout as a vicious redneck law enforcement officer. He's almost as hilariously odious here as in his excellent BUTCHER BAKER NIGHTMARE MAKER performance. Schoelen is absolutely adorable and gives the whole thing a serious try that deserves respect. Both films are presented in 2.35.1 1080p AVC encoded transfers but that's where the similarities end. 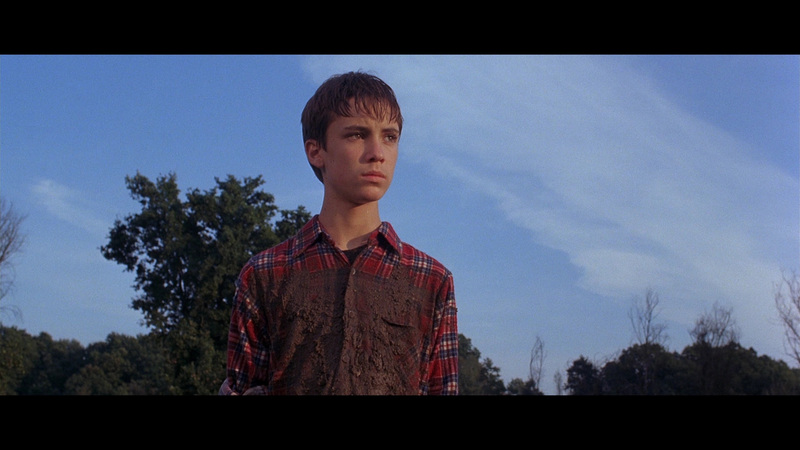 THE CURSE looks solid with strong colors and fine image detail. Black levels are good and the grain looks natural. I didn't notice any real print damage or use of DNR. This is a nice transfer. Audio is an unremarkable DTS-HD 2.0 Stereo track for both films that is perfectly fine. No screeching high or low end and strong balance. There's little in the way of dynamics, but both tracks are source authentic and have no noticeable defects. In terms of A/V, CURSE II has some problems. Sourced from the only remaining 35mm print deemed suitable for the job, this one can get murky at times and look fairly rough. While this is true HD and not an upscale, it often lacks in fine detail and strong black levels. 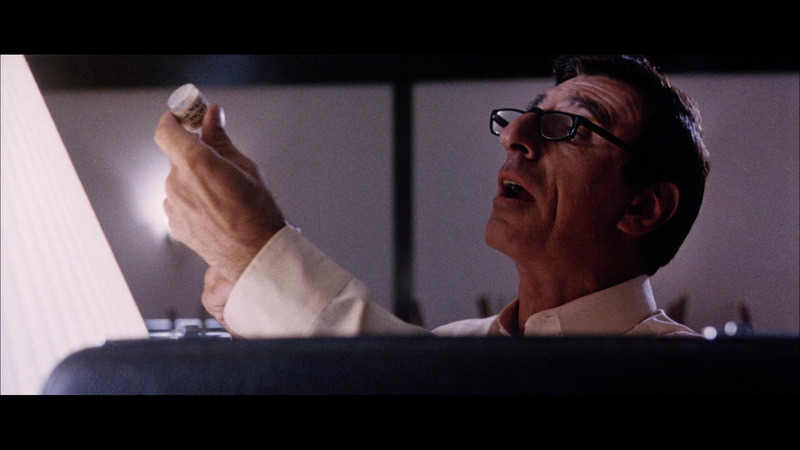 I even spotted some fleeting telecine wobble in the hospital scene. Is it watchable? Yes. And keep this important caveat in mind: this one was known fir having a crappy looking VHS and no definitive DVD version that I've heard of. It's important to give Scream kudos for doing the best they can with these kinds of lesser films that lack pristine elements. Extras? De nada, aside from a trailer for THE CURSE. And both features do have English language subtitles. This one is value for money for fans of slimy "little engine that could" style horror from the waning days of the 80's. Neither of these is a forgotten masterpiece like THE HIDDEN, but both are excellent time wasters with the first being the better film while the second has its charms. Scream have done an admirable job with the elements they has to deal with as well.